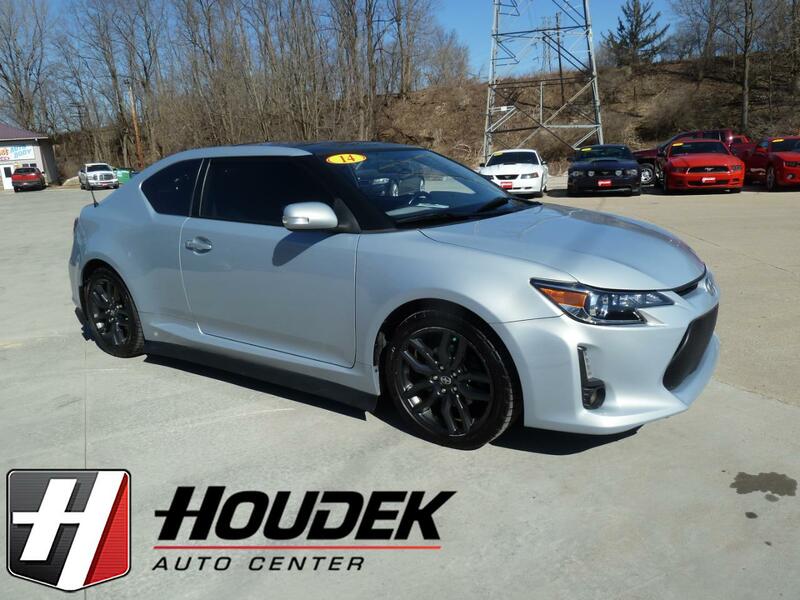 Check out this Sporty Looking, 2 Owner Scion Tc with a Clean History. Features the 2.4L 4-cyl engine, Manual 6-Speed Transmission, 17-Inch Alloy Wheels with Newer Tires, Power Sunroof, Cloth Interior, Power Windows & Locks, Pioneer Sound, AM/FM/CD Player, Aux & USB Hook Up's, Ice Cold A/C, Traction Control and more. Runs and Drives great, Inspected and ready for a new home. Also included in the sale is a Painted to match spoiler and factory grille insert. Call or stop out today. Have peace of mind this vehicle is backed by our 30 day 1,000 mile limited warranty.